Stem cells are the therapeutics of the future, but to use them to their full potential we first need to understand how they function within the body. 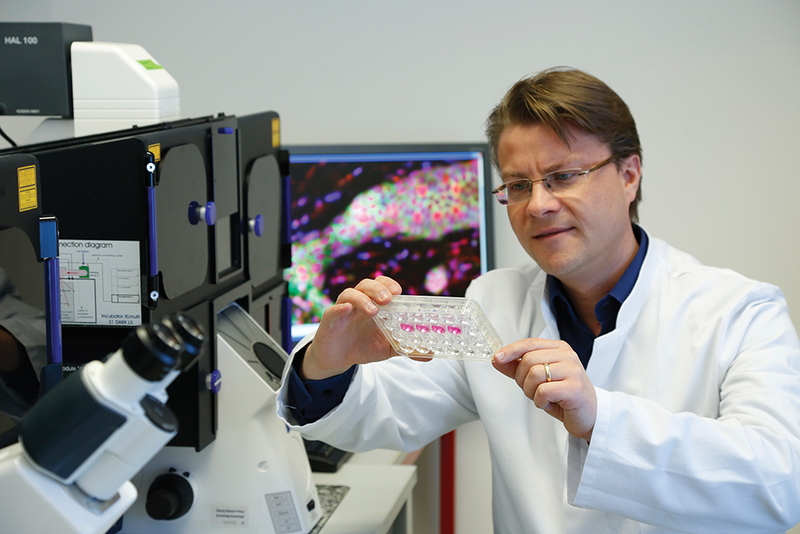 Professor Michael Rieger of the Goethe University Hospital, Frankfurt, Germany is working to understand the complex intricacies of stem cell replication and behaviour. Blood is quite an amazing substance. Packed full of cells with a multitude of roles, be it carrying oxygen, clotting wounds, or gobbling up unwanted invaders, this mere five litres of fluid manages to keep us alive and healthy all day, every day. There is a large number of different types of blood cells – erythrocytes, neutrophils, lymphocytes, platelets, and many more. All with widely differing roles and attributes and all coming from the same point of origin. Every one of this multitude of cell types currently floating around your bloodstream developed from a single type of precursor, known as a haematopoietic stem cell (or HSC for short). These cells can be thought of as the raw material that can be formed into any one of the blood cell types, a process of irreversible specialisation and development – differentiation – known as haematopoiesis. The act of differentiation occurs in steps, with cells converting into ever-more specialised forms based on the cellular signals that they receive. The ability of HSCs to form any blood cell has not gone unnoticed by the medical community. Indeed, haematopoietic stem cell transplantation, the act of providing patients with HSCs from a donor source, has the potential to treat diseases ranging from cancers to immune-system diseases and has become clinical practice. Yet there are significant hurdles to be overcome, not least of which is the problem of getting enough HSCs in the first place. Donors are limited in the samples they can provide, even exceptionally rich sources of stem cells such as umbilical cord blood do not provide enough cells to treat an adult patient. But cells replicate, dividing to produce two daughter cells, bringing up a simple question – if there are too few stem cells, then can’t we just grow some more? Blood cell production in the human body is a frantic process, with around 500 billion blood cells produced each day. To keep up with this demand stem cells need to constantly renew their numbers and their progeny need to replicate frantically to keep up with the required pool of blood cells. This is actually quite a rare ability – the majority of cells can only divide a certain number of times before steadily accumulating DNA damage causes them to self-destruct. 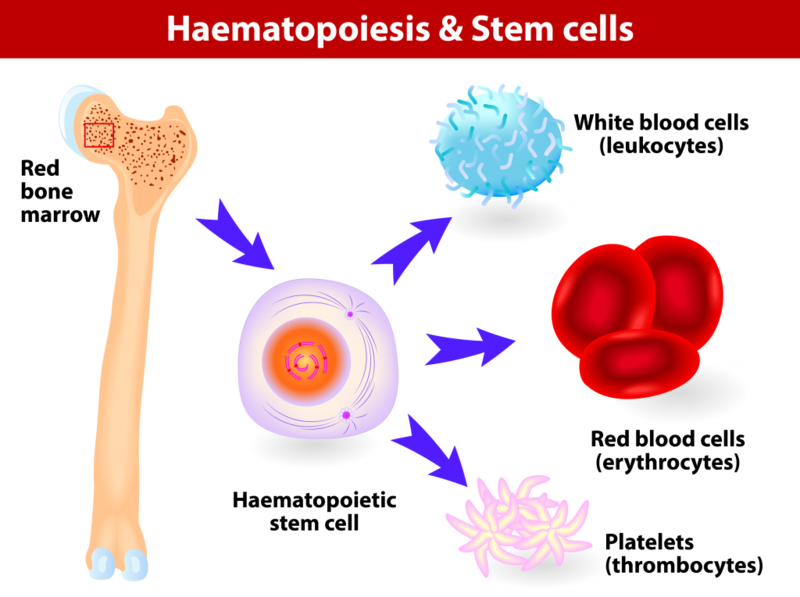 Stem cells such as HSCs, by contrast, have an extended ability to replicate and repair genetic damage. A single HSC could, in theory, eventually produce all the blood a human could require. Going from theory to practice, however, can be challenging. HSCs taken outside the body will rapidly begin to differentiate, losing their stem cell abilities within three to five days. This means that every transplant is a race against time to harvest cells, clean them, genetically modify them as needed, and provide them to the patient. Many groups have tried to extend this time frame, mostly without success. The sheer complexity of the differentiation process makes it difficult for scientists to stop or prolong it at precise points. Innovative single cell technologies applied in his laboratory will uncover the function and molecular composition of individual HSCs and resolve cellular complexity. Stem cell replication and differentiation is a multi-step process. A dividing HSC will leave daughter HSCs (to renew the population) and progenitor cells, known as multipotent progenitors. These cells have irreversibly started upon the differentiation process and they follow a path of maturation that steadily decreases the number of available options until the final form is reached – the mature blood cell. The maturation process is controlled by a number of molecular signals such as colony-stimulating factors and growth factors. These trigger changes in the gene expression profile of the cell, driving the cellular modifications that cause progression along the differentiation pathway. Although they can replicate to produce new stem cells, HSCs need to carefully balance their numbers – too few and they cannot produce enough blood cells for demand, too many and they begin to overrun the body leading to haematologic disorders. Although the basic effects of growth factors on HSC replication and differentiation have been known for many years, it is only recently that scientists are beginning to understand the many other factors that contribute to, balance, and fine-tune the process. One of these contributing factors, and indeed a major focus of Professor Rieger’s team, is that of microRNAs. RNA is formed from DNA and acts as a template for protein production. MicroRNA is essentially a very small piece of the normally single-stranded RNA that has been bent back upon itself to form a hairpin of double-stranded RNA. Double-stranded RNA is commonly used by viruses and so many species are capable of detecting it and using the molecule as a template for the destruction of any further RNA containing the same sequence. Over the millennia this cellular defence process was co-opted by evolution to provide deliberate destruction of the cell’s own RNA. The microRNA thus acts to control the expression of genes into proteins within plant and animal cells, essentially providing tightly targeted decreases in the production of specific proteins. There are many different microRNA variants, with the human genome alone appearing to code for more than 1000 of them. Taken together, these fragments of genetic information can target almost 60% of the genes in the human body. Given this, it is perhaps no surprise that microRNAs also play a role in HSC replication and haematopoiesis. Indeed, one of the most important microRNA factors involved in this process was discovered by Professor Rieger and his group and is known by the name of miR-193b. The researchers showed that miR-193b acts as a negative regulator of the stem cell replication process. An HSC that has received a signal to replicate also produces increased amounts of miR-193b. This microRNA targets a protein known as c-KIT, one of a family of proteins known as tyrosine kinases that transmit and amplify signal information throughout the cell. Expression of miR-193b leads to degradation of the RNA coding for c-KIT, reducing the amount of protein present and the potential for signal amplification. The disruption to cellular signalling then acts to counter the replication signal and returns the stem cells to their base state, creating a negative feedback loop. Expanding on these initial observations, the researchers were able to show that artificially modifying the level of miR-193b controlled HSC replication and differentiation both in cell culture and in mice. Removing miR-193b reduced the rate of differentiation and therefore led to rapid expansion of HSC numbers, while increasing expression of the gene led to reduced stem cell renewal. Interestingly this effect, the negative feedback that prevents haematopoietic stem cell growth, can also be seen in cells that are descended from HSCs. One of the most important examples of this comes from studies on acute myeloid leukaemia, a particularly dangerous form of blood cancer in which rapidly-replicating myeloid progenitor cells take over the bloodstream – this can often lead to death within months. 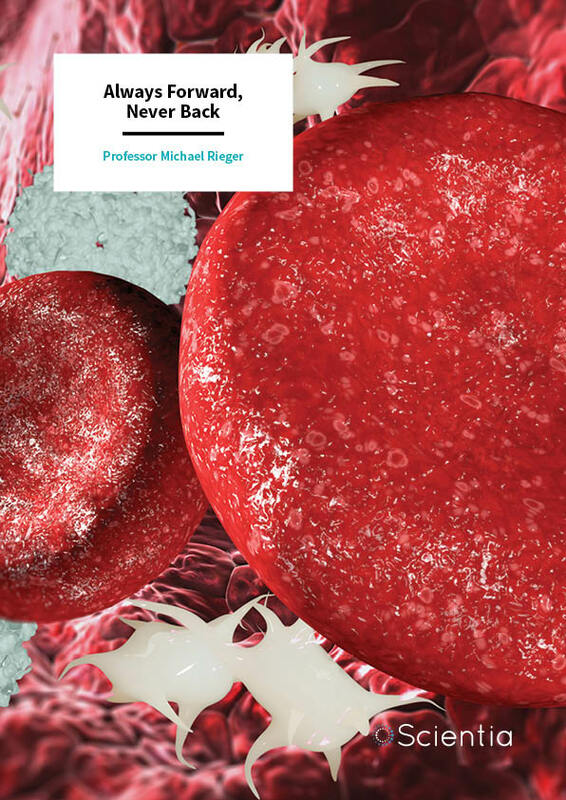 Work from Professor Rieger’s group identified the role the HSC-regulating microRNA miR-193b plays during acute myeloid leukaemia. They found that, much like in HSCs, the presence of the microRNA had a suppressive effect on cell growth. Indeed, patients whose cancer cells did not contain miR-193b had significantly poorer outcomes for their disease. 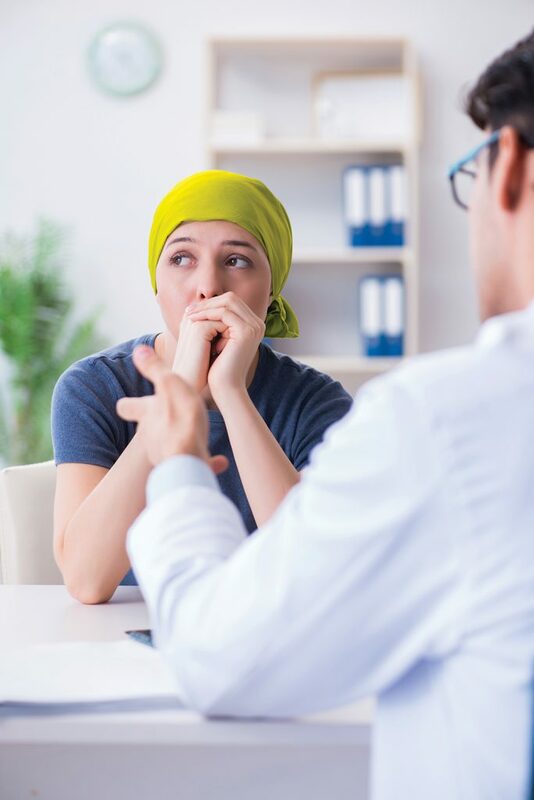 Subsequent laboratory work showed that introducing this microRNA back into leukemic tumour cells was able to significantly reduce tumour growth. The work so far is ground-breaking, but perhaps most exciting is the future potential of controlling these differentiation and replication factors. Control of miR-193b could open up the possibility of further improving stem cell transplants. A transient decrease in miR-193b levels in the donor stem cells could help expand the culture (removing the limitation of cell quantity) or increase the fitness of stem cells to bring the culture past the typical three to five-day limit – immensely improving the efficiency and logistics of transplantation. This could lead to new therapeutic options for patients suffering from these life-threatening conditions. For the moment, at least, the future of HSCs seems brighter than ever before. Michael Rieger is Professor of Basic Mechanisms in Stem Cell Biology at the Goethe University Hospital of Frankfurt am Main in Germany. 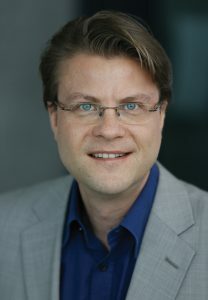 Professor Rieger first began leading an independent research group in 2009, before rapidly being picked for an Associate Professor role at Goethe University Frankfurt in 2012. His successful research career (with over sixty publications and counting) soon led him to his current role as a tenured professor. His research focuses on the molecular mechanisms which underlie the development of somatic stem cells into their eventual final cell types, in healthy humans and cancer patients. N Haetscher, Y Feuermann, S Wingert, M Rehage, FB Thalheimer, C Weiser, H Bohnenberger, K Jung, T Schroeder, H Serve, T Oellerich, L Hennighausen and MA Rieger, STAT5-regulated microRNA-193b controls haematopoietic stem and progenitor cell expansion by modulating cytokine receptor signalling, Nature Communications, 2015, 6, 8928. MA Rieger and T Schroeder, Hematopoiesis, Cold Spring Harbour Perspectives in Biology, 2012, 4, a008250. MA Rieger, PS Hoppe, BM Smejkal, AC Eitelhuber and T Schroeder, Hematopoietic cytokines can instruct lineage choice, Science, 2009, 325, 217–218.